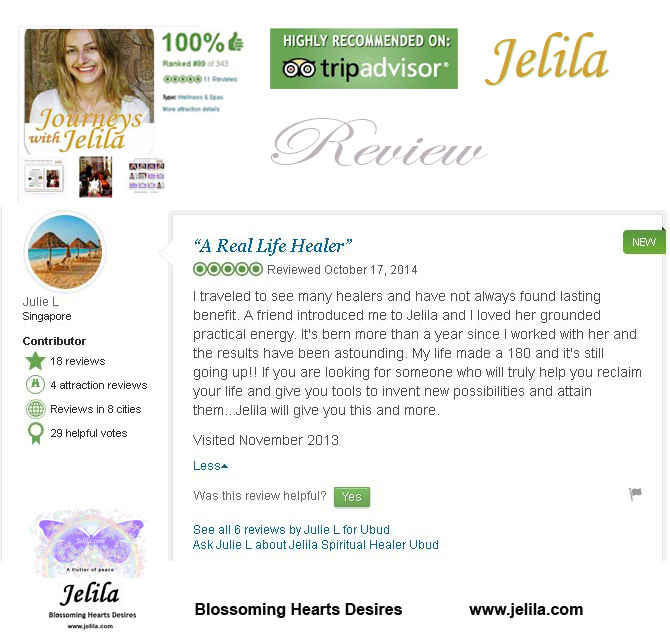 Crystal Healing Remedies™ by Jelila – the natural way to feel good! Do not open them~! The intention goes in when the pocket is tied. 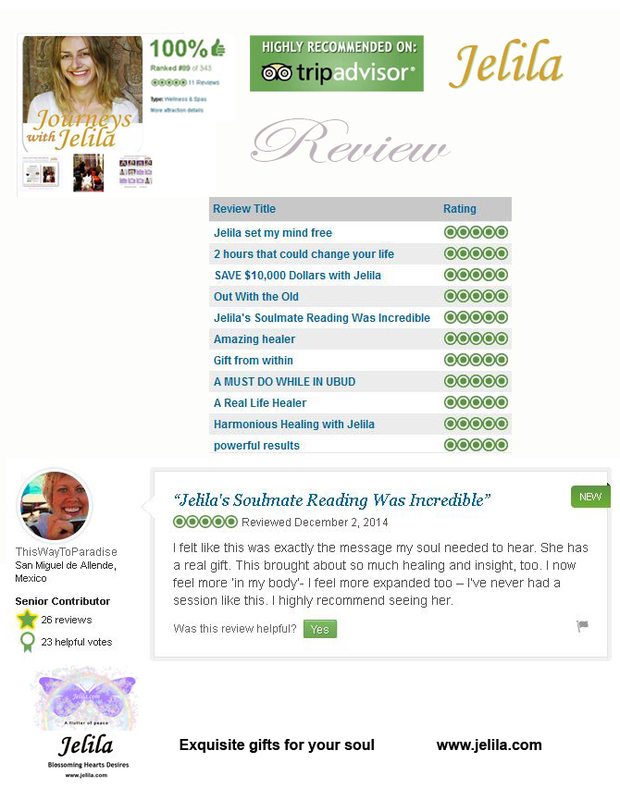 Jelila Crystal Healing Remedies™ simply need to be in your aura to work (<1m from you). The whole thing is the remedy – including the bag, decoration, crystals, aromatherapy scent, sequins inside, etc. Blow on your Jelila Crystal Remedy regularly, to release absorbed negativity. They never run out – simply blow on it to refresh. Includes a specially matching essential oil aromatherapy scent. Continues to work if washed Comes with instructions. Lightweight to post, makes a great gift! The completely natural and healthy way for yourself and your family to feel positive and good – every day! Uplifting (Intro Remedy), Love, Happy & Light, Soothing. 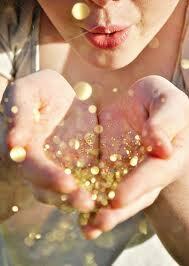 Wear, or rest with it on your heart, have near you, or place under your pillow and make a wish for your hearts’ desire! This remedy soothes hurts, heart-ache, and helps you to love yourself, so that you may attract more love from others. Carry, wear, rest on heart, relax, enjoy Jelila’s uplifting positive energy – for living in delight! 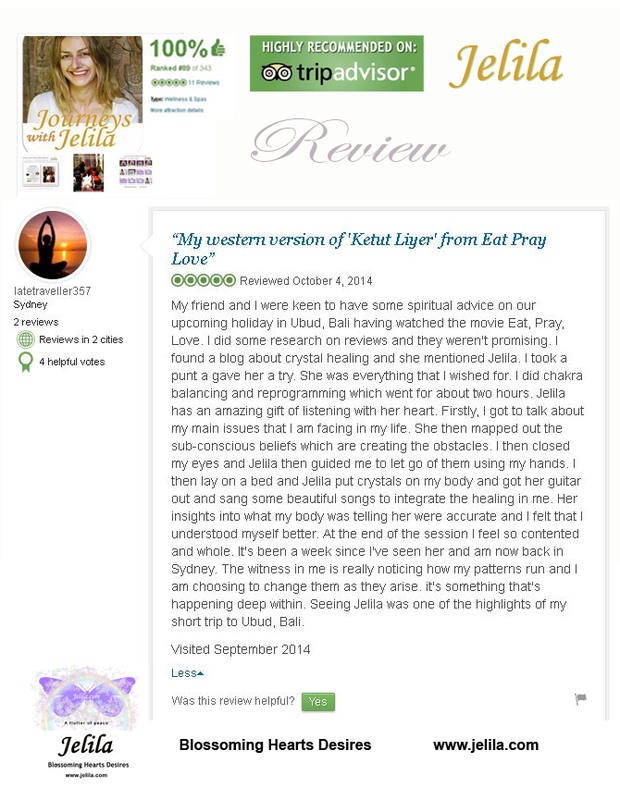 The Introductory – Uplifting Crystal Remedy is designed to help you to call on Jelila’s wisdom anytime you use it, with no detriment to her. 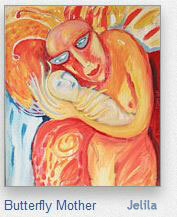 Can be used as support for yourself, or for healers/therapists to support your practise. Related Product: ‘Introductory Journey’ CD – a selection of original Music sung by Jelila with guitar to uplift & inspire you. Enjoy a happy, light feeling. Use when you feel down and need zing. Wear, rest with it on heart, in bed, or under pillow, to attract romance, lightness & fun. Use when you feel hurt or distressed and need soothing. Helps children sleep. Rest with it on heart, in bed, or under pillow. (To help adults sleep, use Sleepytime Remedy). Helps also with Self-Esteem, childish upsets, tantrums, frustration, in adults or children. Related products: Lullaby for the Inner Child CD Journey, Self-Esteem crystal necklace & bracelet. Have near, in desk, bag, at work. Rest with it on sacral chakra (lower belly). Place under pillow & wish, as ideally, you listen to matching ‘Law of Attraction’ Journey CD. Has a Combination of Crystals including Citrine the vibration of Wealth, and Carnelian to attract. Related products: The Law of Attraction Journey CD, Abundance crystal necklace. Expand & attract opportunity. Use when you feel stuck, need options. Wear, have near, in desk, rest on heart, under pillow. Helps you to attract more – more love, more wealth, more opportunity.. more! Related products: Goldensong Journey CD, Abundance crystal necklace. This remedy is designed to return any system to a healthy state, which means that it flows. The ‘system’ could be your body, it could be a business or a relationship, it could be your car – any kind of ‘system’ – it works on all and any systems, according to what you intend when you use it. It can also work on cash flow – which is part of the flowing ‘system’ of energy on Earth. This Crystal Remedy is going to get stuck energy to move, so be prepared for some changes. If the effects seem too strong for you, place it by your bed or about 75cm from you. CAUTION/DISCLAIMER: DO NOT USE HEALTH & VITALITY CRYSTAL REMEDY FOR CANCER or any system or condition where ‘spreading’ is an issue, as this Crystal Remedy induces flow – creates more spreading. As with all Jelila Crystal Remedies, no medical results are claimed. In case of any medical condition please see your doctor. Use when you need vitality. Use when you want to expand or ‘spread’ something – like to promote your new product. Carry, rest with it on heart, place in bed, or under pillow, place in your business or near any system in which you want to induce flow. For Health: Love Travels Journey CD. This remedy is designed to encourage Gratitude. As you feel more Gratitude, the Universe naturally brings to you more pleasurable experiences to justify that feeling of – Gratitude! So it is designed to help you to create more of what you want in life – for living in delight! Brings new ideas, new responses. Carry, rest on heart, have near as you or kids are creating – ideally, as you enjoy ‘Magic Book’ – the CD Journey that playfully invokes Merlin to guide your creation! Inspires new thoughts, brings new solutions to problems, brings inspiration for creating new things. Related products: Magic Book CD Journey, I Wonder How CD Journey. 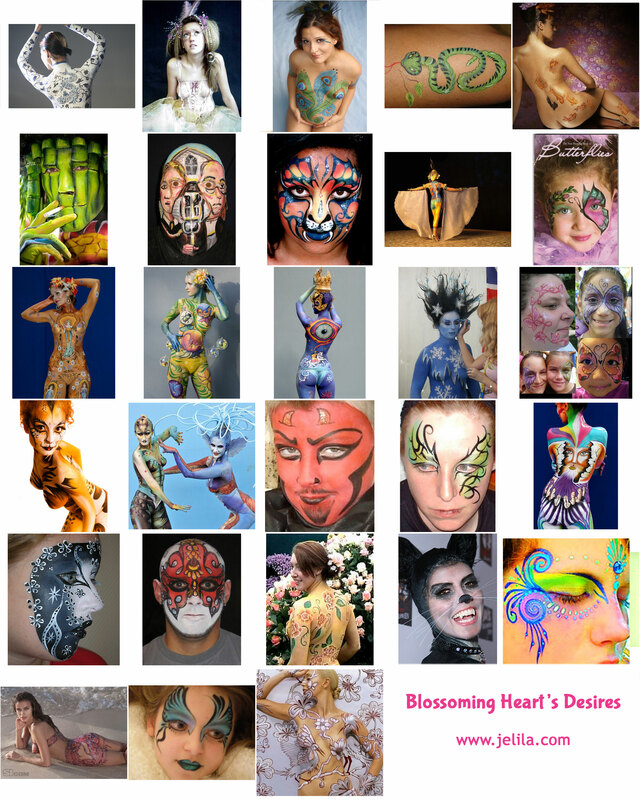 Brings confidence & power in expressing yourself. Overcomes fears. Wear, carry, rest with it on heart, in bed, under pillow. Supports the child within you, also good for children. Helps to overcome fears about using your capabilities and power. Use when you need guidance & perspective on family, group, or business decisions. Carry, wear, have near, in desk, in business, rest with it on heart or brow. Negativity, Criticism, Ghosts, Entities, Black Magic, Psych Attack, Mind Control, Over- Controlling Relationships, etc (& related fears). Wear, carry. Absorbs negativity, works on your fears and boundaries so that you feel safe. 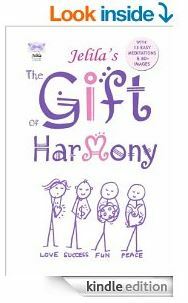 It contains Jelila’s teaching ‘The Gift’ balancing your life, relieves conflict, brings peace. It calls four important aspects of yourself together so that you can balance work, relating, and have time to play. Wear, carry, have in desk, rest on heart, under pillow, relieve stress. Relieves stress-at-work, brings balance to one’s life. 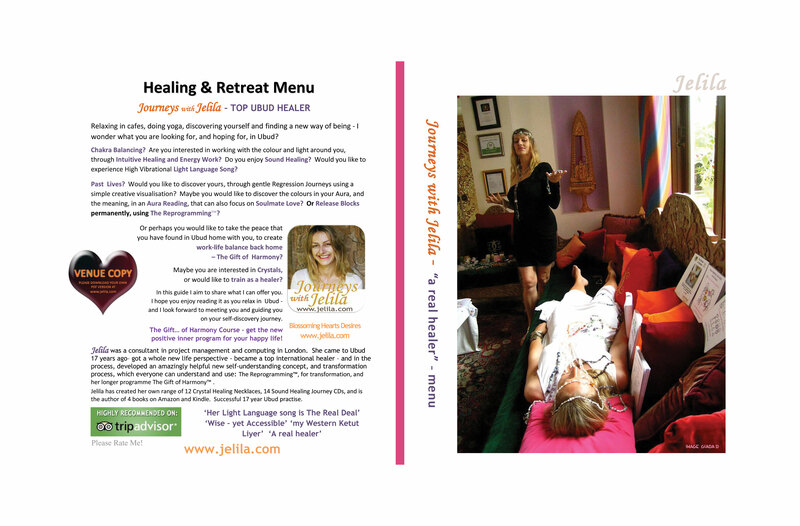 Related products: The Gift Journey CD, The Gift Retreats. So that you feel good – fast! Wear or carry with you, place in negative locations, rest with remedy on your heart, feel good. As you notice the bad feelings you are having, and allow them to be ok, so they are released. This remedy releases negative feelings so you feel better. Related products: I Choose Me Journey CD, Detox crystal necklace. Brings Hope. When you need encouragement, wear, carry, rest with remedy on heart, near you, under pillow, to instantly uplift and inspire you. Aids sleep. To help you rest peacefully. Use with ‘Jetlag’ remedy during travel. No limit on use. Rest with it on brow or near your head as you sleep. Designed to aid sleep naturally. You can fly with it as it contains no gel or liquid. Use regularly to harmonise your sleep patterns. Aids flying fears, travel sickness, upset stomach. No limit on use. Acclimatises you. Use with ‘Sleepytime’. Rest with it on your heart or stomach, carry it with you during the day. The Jetlag remedy connects you powerfully to the earth, grounding you. It helps with jetlag by bringing your energy to the present place and time where you are actually located. As it does so, you feel settled. It has the same ‘settling’ effect on stomach upsets which are a symptom of ‘feeling out of place’. Also good for people who are ‘too floaty’ – brings you gently down to earth. Use as often as you wish. Designed to work in concert with the Sleepytime insomnia remedy to harmonise sleep patterns, and centre you. Attain the ‘thing that you never can get’ – whatever that is! 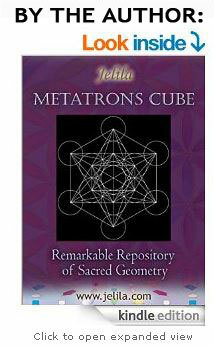 This very special remedy is designed to guide you to obtain, or attain ‘that which eludes you’ by overcoming blocks. Rest with it on heart or on your pillow to release blocks to having what you can’t get – so that you attain it in reality! As you rest with it on your pillow, you are gently guided to realise exactly what you have inadvertently been doing to cut yourself off from the very thing that you most desire. As you realise, allow yourself to take the new actions that naturally come to you – and allow yourself to have ‘that which eludes you’. Product names, ‘Crystal Remedies’,  & ‘Jelila’ are trademarks. © Jelila 2007. All Rights Reserved. 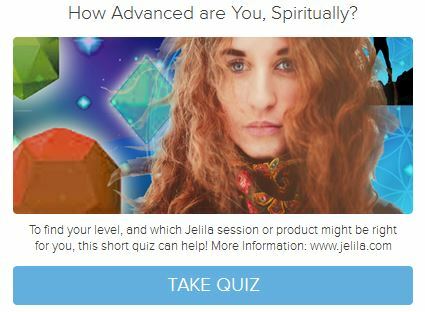 Jelila is a well-known International Healer who offers a range of different healing sessions including Crystal Healing, Energy Work, Past-Life Journeys, Sound Healing, The Reprogramming (TM) her Signature Technique, and more. Following 15 years of working intensively with clients, helping them to overcome negative beliefs causing negative results in their lives, I wanted a way of sharing what I learned through some ‘physical things’. As my work is so ethereal – I am working with changing underlying thoughts and ideas – I wanted a way to share these ideas by putting them into products that people could simply buy, in order to partake of the knowledge and effect positive change in their lives, in a very accessible easy way. And so Crystal Healing Remedies were born – I have combined special Combinations of Crystals into recipes which contain a vibration (or feeling) that complements the ideas that I wish to convey, and programmed the Crystal Healing Remedies with thoughts ideas and instructions to bring a certain effect. To feel the effect, you simply need to have Crystal Healing Remedies within your energy field (not further than 75cm from your body). There are 18 Crystal Healing Remedies – when I first made them and laid them on my bed, I thought wow, I’ve written a book – in crystals! Everything I have learned, in ‘shorthand form’. The Crystal Healing Remedies contain the wisdom and learning of thousands of hours of contemplation, research, analysis, and healing sessions. As you carry them with you, you pick up that learning in a pure vibration, that you feel, that affects your deeper being, and your life changes in positive ways as a result. Crystal Healing Remedies are 18 kinds of hand-made palm-sized pockets containing programmed crystals with 18 different effects. Crystal Healing Remedies are each designed in certain colours, with extra items inside like sequins, and decoration and ribbon – it all goes to make up the Crystal Healing Remedy and contain the idea. They are hand-made in Fair-Trade. 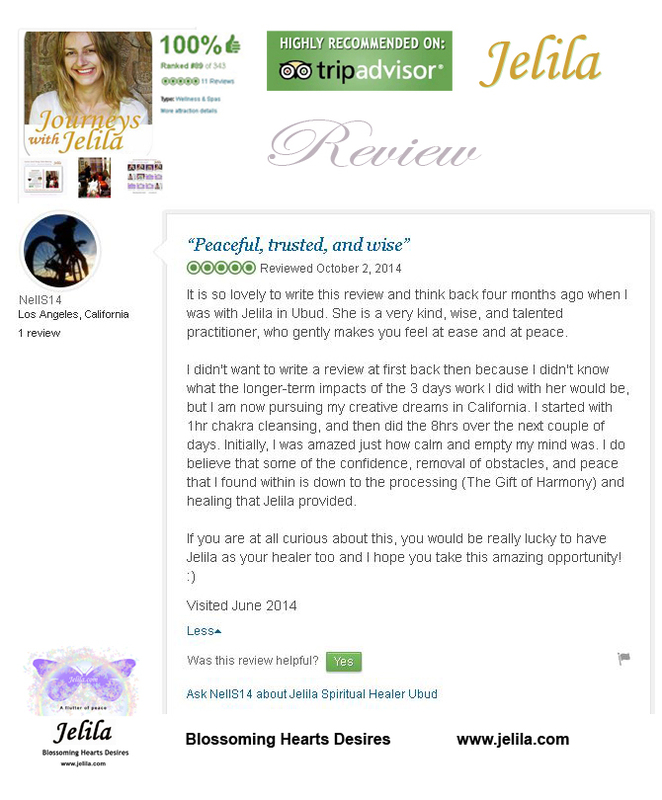 HOW DO JELILA CRYSTAL HEALING REMEDIES WORK? Jelila Crystal Healing Remedies guide your subconscious mind to discover something new, that can help you in many practical ways in your life. All the situations in your life are created by you, and are reflecting you. Crystal Healing Remedies guide your sub-conscious mind to create positive outcomes, for living in delight! You can simply choose, intuitively, the Crystal Healing Remedies that you feel most drawn to. 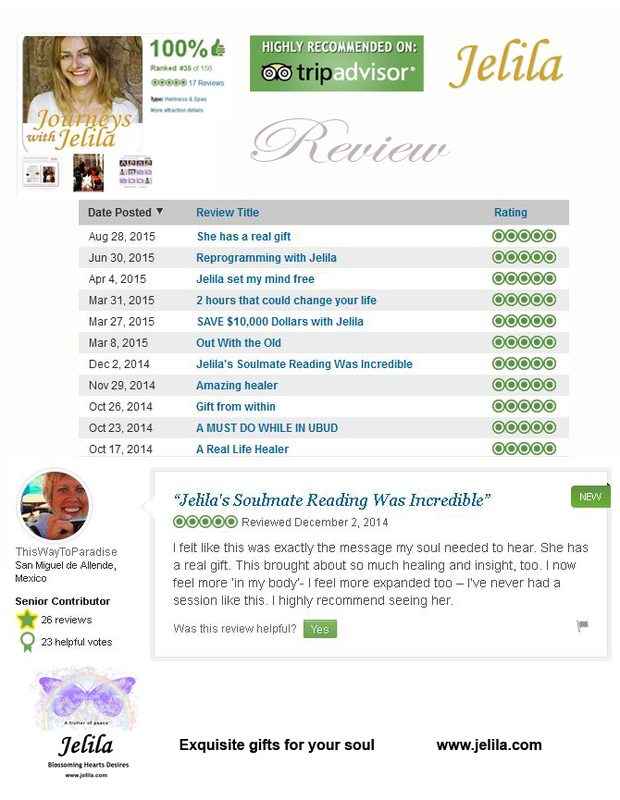 Or if you wish, you may email me at jelila@jelila.com for a recommendation. All the Crystal Healing Remedies work together, you may use more than one at a time. Be aware though, that you are going to learn and transform as a result of using them, you have to integrate or absorb what you are going to learn, on a deep level. So using too many at once can make you tired. I suggest you use up to 6 at a time. If you want a recommendation, email and I will suggest ‘so many days of this remedy, so many days of that’ to gain the effect you desire, as I can see intuitively how your energy will evolve as you use them. Crystal Healers, Coaches, Therapists – you clan recommend Crystal Healing Remedies to your clients in the same way! Crystal Healing Remedies are programmed to bring the best effects for you, when you use them. This means that it is perfectly safe for you to choose the ones that you want to use, for yourself. They never run out. Your Crystal Healing Remedies will keep on working indefinitely, though: DO NOT OPEN THEM! If you open the bag, then the intention, (which is put in when the bag is sealed, and is what makes it work) is broken. To Energetically Cleanse: Simply blow on your Crystal Healing Remedy from time to time to release absorbed negativity. You may recycle your Crystal Healing Remedy by giving it to someone else when you have finished with it (your need for the Crystal Healing Remedies will evolve as you evolve – it is not intended that you become dependent on them!) Just blow on your Crystal Healing Remedy to cleanse before you give to someone else. Crystal Healing Remedies work on your subconscious mind, on the intentions thoughts and negative ideas that cause certain negative effects in your life. Crystal Remedies are intended to help you to evolve so that you may create more pleasure and harmony in your life. This may include working on the root causes of disease and ill-health, which may cause health to improve over time. However, no medical results are claimed, and if you have a medical condition you should consult your medical practitioner. You may however, use Crystal Healing Remedies at the same time as your conventional medical treatment if you wish with the consent of your medical practitioner. The ‘Health & Vitality’ Crystal Remedy should NOT BE USED FOR CANCER OR ANY CONDITION IN WHICH ‘SPREADING’ IS AN ISSUE. This is because this remedy generates flow and ‘spreading’. Crystal Healing Remedies contain small parts and should not be given to small children or babies. You may however, sew them safely into a toy or pillow, or place them out of reach but within 75cm of the child for them to have an effect. The ‘Soothing’ Crystal Healing Remedy is ideal for this, it soothes the Inner Child, and Children. Power & Confidence is also good for kids. If you feel a too-strong feeling when using the Crystal Healing Remedies, place them a little further from you. For example, not under your pillow, but by your bed about 75 cm away. to offer crystal healing or energy healing, or to add that to your practise. To offer sessions with Crystal Healing Remedies, you may intuitively place them on or around the body of your client during an alternative therapy or massage session. You may also wish to retail the remedies, or prescribe them to your clients. 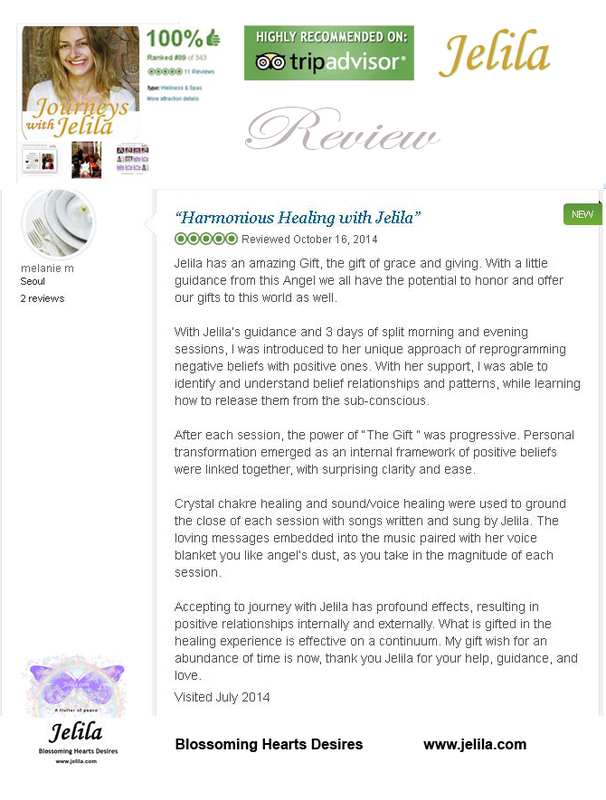 Crystal Healing Remedies also work extremely well with Jelila’s Journey Music CDs during sessions, which also bring a transforming, healing experience. The Journey CDs match certain remedies and the music helps to create a deep harmonising experience for the client. Please email jelila@jelila.com for more information. Product names, ‘Crystal Healing Remedies’, & ‘Jelila’ are trademarks.